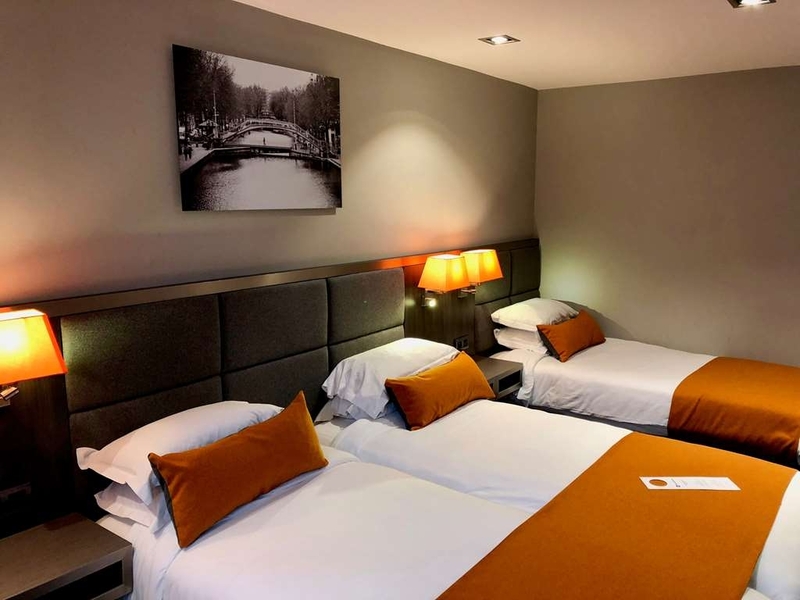 The Best Western Empire Elysees is ideally located in the center of Paris. Come and experience our hotel near the major tourist attractions. Best price guaranteed and exclusive deals. 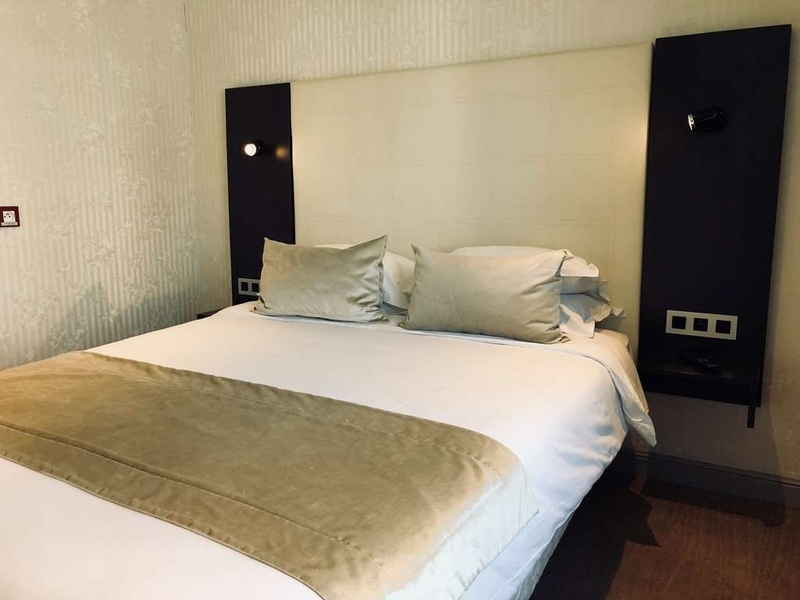 The Best Western Empire Elysees is close to the Champs-Elysees. Our hotel of character offers you the opportunity to mix business and tourism activities. Congress Centre, Air France bus at hand. Our hotel features a bar and lounge, car rental desk, conference room which will accommodates up to 19 guests featuring video-projector and wireless Internet service Wi-Fi. 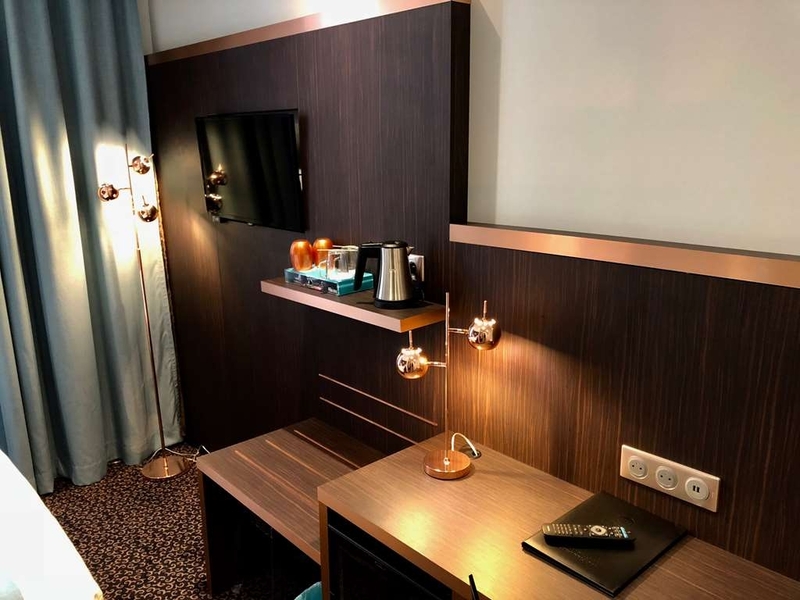 The guest rooms at the Best Western Empire Elysees are equipped with satellite television with canal plus, direct dial telephone, data ports, coffee/tea maker, hairdryer and mini-bar. We inform you that we also have two rooms for people with reduced mobility. 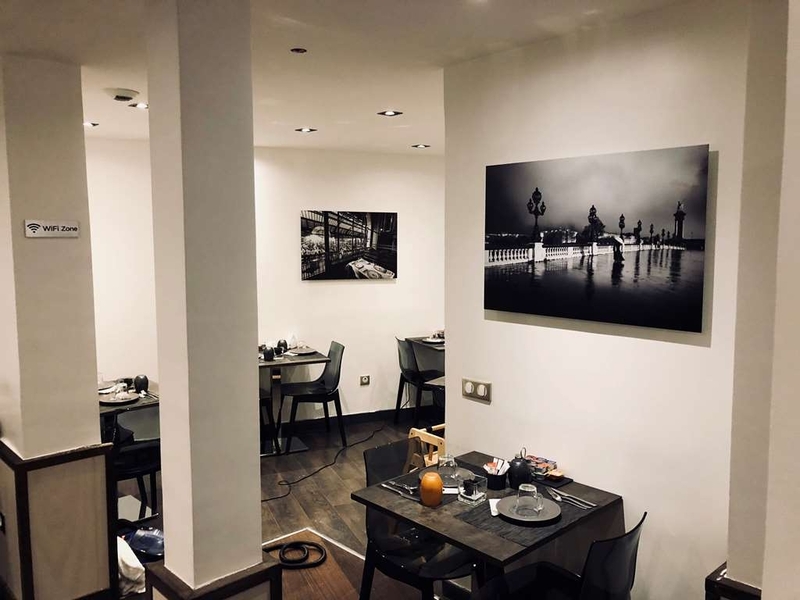 "Great location but no cheap"
Great location, two block away from the Arc de Triomphe and Champs Elysee Avenue. Lots of restaurants, coffee shops and supermarkets around. Nice beds. The building is old but well maintained. Nice Staff, Magda at the frontdeskis a sweety person. Just 1 kilometer away from the Eiffel Tower. But it is not chep for sure. Rooms are spacious and clean. Bathrooms are huge with soap and body wash available. Cleaning staff don't speak much English but the workers on the front desk speak English and are very kind and helpful. 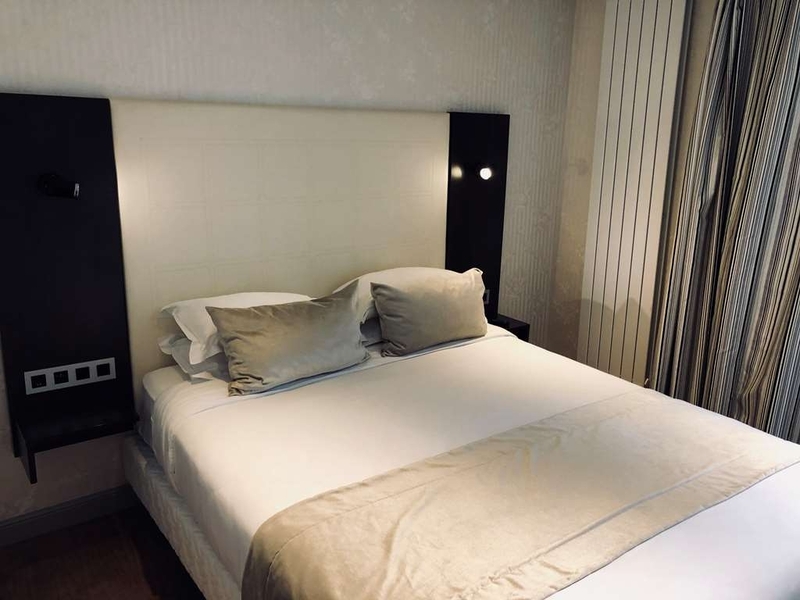 Hotel is located minutes away from the arc de triomphe and the champs Elysees. The breakfast buffet wasn't the best, very budget, but there are plenty of cafes around. Good hotel, clean, helpful staff. It is well located and is good value. It is located very centrally, about 5 minutes from the Arc du Triomphe. Well served by public transport, the metro is very close. Great restaurants nearby. The hotel was in an excellent location. Close to shopping, metro stations and area attractions. We were somewhat disappointed in the very small room. 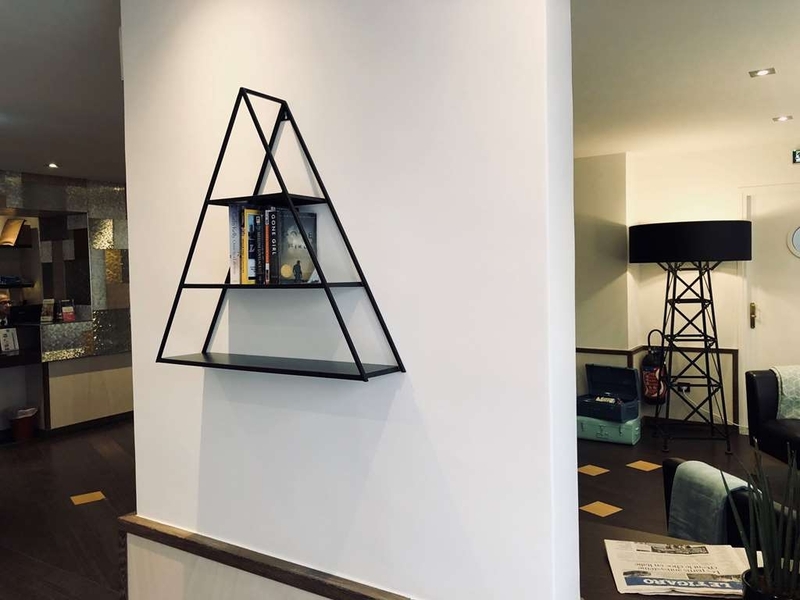 We were assigned a corner room and the wrong was almost triangle shaped therefore making it difficult for 2 adults with luggage. The bathroom was super tiny, making it difficult for two adults to get around in the bathroom at the same time. All in all, we did like the hotel. It was SUPER clean, great bed and delicious breakfast. 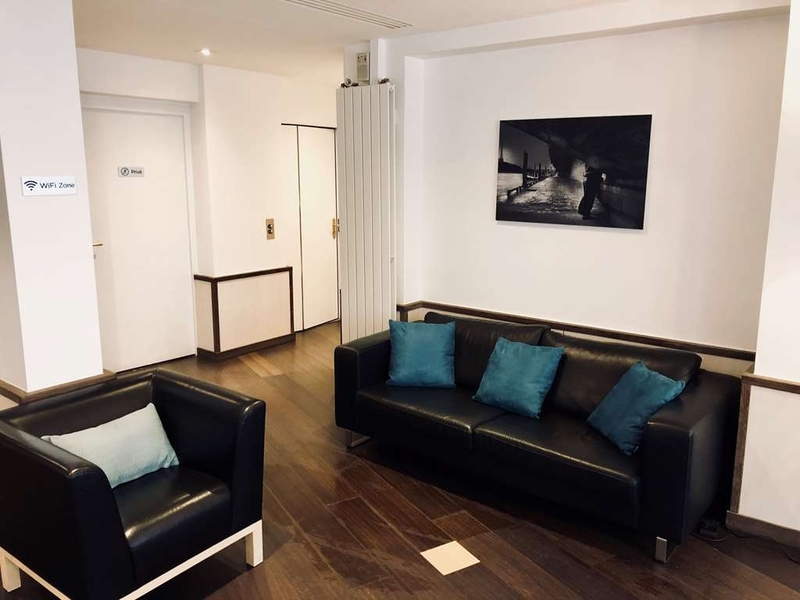 Perfect location very short walk to the Arc De Triomphe and local metro station lots of bars and restaurants within easy reach. Hotel is spotless and the staff are excellent, nothing is too much effort for them. 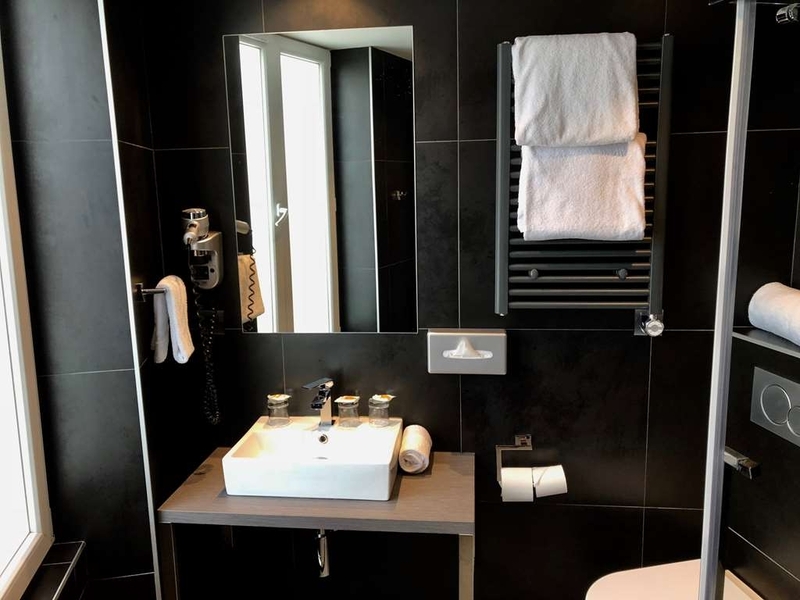 The bathroom was HUGE which makes a very pleasant change to your typical Paris hotel room, room 61 had a lovely little balcony too. Will definitely stay again and would happily recommend. 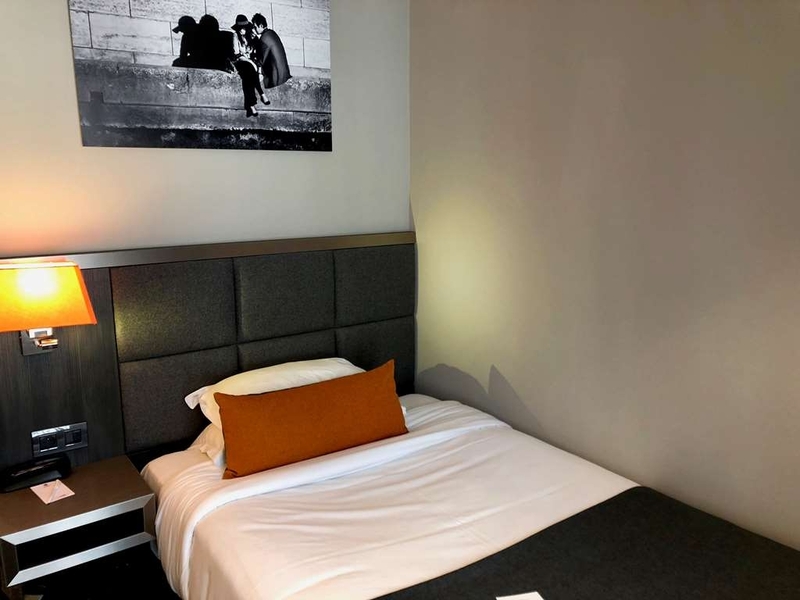 "Perfect location and nice accomodations"
Nice boutique hotel near the Champs-Elysées and Arc de Triomphe and convenient to the Metro Stations. Room was a nice size, clean. Staff friendly and helpful. Near restaurants and convenient stores. On a quaint little street that is quiet. European style breakfast in their breakfast room had good selection. Nice conveniences for guests. "Good location, excellent service! Free breakfast also!" Excellent stay overall! Rooms are fairly standard; has all the essentials. USB wall outlet is a nice touch and really convenient. Location is probably the best part! Quiet, but walking distance to arc du triomphe. Grocery store and market are nearby along with many options to eat. Almost all locals in this area. Average breakfast but free so can't complain. This breakfast is a great benefit because food in general seems to be expensive in France (or at least in this area). Service was excellent! Hotel staff spoke perfect English and was kind/very receptive to our needs. Food recommendations, printing documents, calling taxis, and even responding to our noise complaint about a neighbor were all handled excellently. The sink was leaking profusely in one of our rooms, but was fixed the next day and manager even offered us a discount / different room. Special thanks to Pierre, the manager, and the staff for making our stay wonderful. "Little respect to the customer would be desirable!" My husband and I had a 27 hour layover in Paris, we wanted to cram as much as we could into those 27 hours. We needed a place to leave our things while we were out and sleep for a few hours - this place was perfect. Our room was small, but it was clean with a small refrigerator, and a towel warmer! The staff was fantastic - my husband and I do not speak French, no problems at all. The hotel breakfast was hot and plentiful. The hotel is also really close to the Arch de Triomphe, restaurants, and metro stops - very convenient. "BED BUGS !!! TERRIBLE CLEANING AND POOR CUSTOMER SERVICE"
I stayed on vacation at this hotel for 3 nights (8th -13th November)in a group of 3. After the first day we noticed our room had not been properly cleaned: the trash had not been emptied and the floor unswept. We complained to the front desk whose only response to us was that we have to keep your room clean". we returned from our vacation to notice that we all had bites allover our our bodies(all 3 of us!! )- doctor diagnosed bedbugs!!! 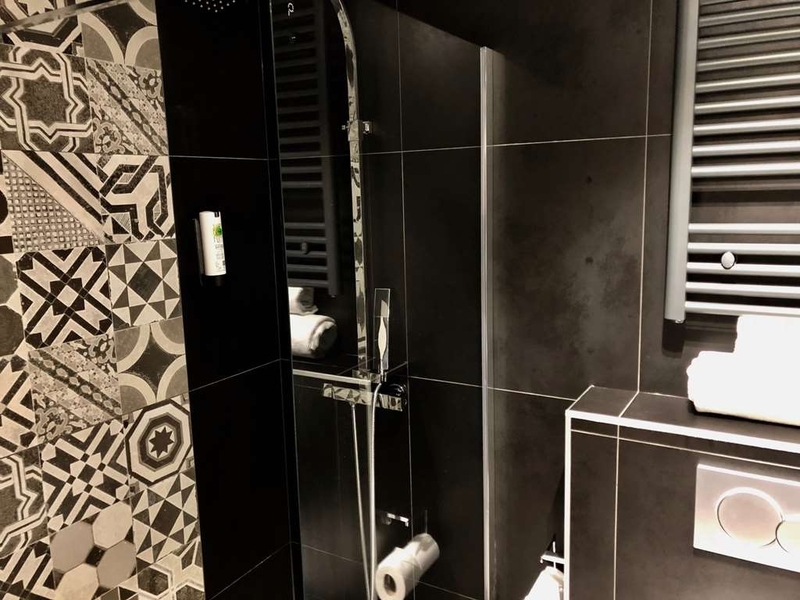 "small, basic but good price and location"
Arrived late at night, very friendly staff, room was clean but very small, but contained a small shower. Did the job as i was on business it was fine. If on holiday I would look for something a little better unless on budget. Location is very good, near the Arc de Triumphe and there are plenty, cafes and bistro around and it is wonderful walking down to see the Arc de Triumphe at night. Hotel provide a breakfast downstairs which was a good start to the day. "Change of hotel without prior notice"
"Lifts broken, staff hopeless, hotel rooms terrible"
Us:- Male 55, x2 females over 50, 7 bags. No trolley or staff to help with cases from road to room. Aircon unit broken in room temp was 26.5C day and night. Told unit would be fixed so waited from 10am until 9pm with no fix. Night staff did not believe me so I had to look after reception while only staff checked out for himself. Finally moved room but lift broken & I had to drag 5 cases between 2 floors again no staff help. Tiny room no bath like previous room, paid for Superiour room down graded no refund. Lobby, masking tape holding up ceiling. STAY AWAY FROM THIS DUMP. Poorest customer services I have ever come across, avoid if possible!!! Rude staff in reception who were proven wrong and refused to acknowledge it. Room was unavailable when we arrived which is ok if there is a good reason. The bad part was the total lack of recognition of the situation and then push us of to an inferior hotel. 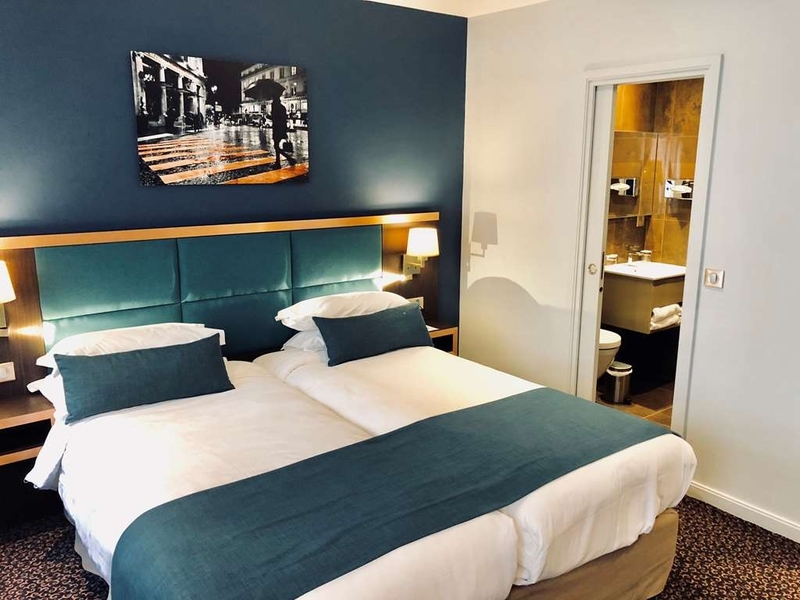 "Lovely room but that's where it ends"
Having stayed at Best Westerns throughout the world, but mainly in America, and have always found them to be excellent value for money and the staff very pleasant and helpful, we thought a Best Western in Paris would be perfect. Sadly, none of the above could be said for the Empire Elysees. On the morning of 17th June, we went down to breakfast at 7.30am and found the breakfast to be very pleasant with plenty of choice. At that time, only one other guest was in the restaurant. However, I did want another cup to put hot water in as the coffee was too strong for me, this proved ridiculously difficult for the restaurant staff to understand, so I pointed to a cup on another table to show them what I meant, to which the staff member snatched the cup up and pushed it into my hand, gave me a nasty look and walked off. On the morning of 18th, we didn't go down to breakfast until 9.30am because we'd had a very late night, only to find, no bread for toast, no fruit salad, very little pastries and no milk, in fact there was nowhere to sit because all the empty tables were piled high with dirty dishes. I asked if they would clear a table for us to sit, and again this was greeted with a very nasty look. We were told that breakfast continued until 10.30 so were very surprised that nothing was being replaced. The following morning we were in the restaurant by 8.30am and there were plenty of supplies. However, the scrambled egg was green, which was a little worrying and we noticed lots of finished plates with plenty of green egg still sitting on them. On the night of the 19th, we didn't get back to the hotel until well past midnight. As it was very hot (the air con didn't really work properly, even though we had spoken to them about it) so we laid on top of the bed covers to cool down. 30 minutes or so later, there was a horrendous crash, the electricity went off and the fire alarm started. Luckily I had a torch with me so was able to use it to find our clothes to get dressed. We vacated the room and went downstairs but weren't given any information as to what the problem was. We were told the fire brigade were on their way, but as there was no smoke and no sign of fire, we were a little confused. We did notice lots of dust in the air and it was only when my husband opened the door to the restaurant, he came across an unbelievable scene. The whole ceiling in there had collapsed. At this time we were still sitting or standing in the reception area. When the fire brigade arrived, they immediately evacuated us from the building. They then advised that another team had to check out the hotel in case the gas pipes were damaged and also to see if the rooms above the restaurant were safe. They arranged for us to go to the Mercure Hotel just around the corner, so that we could get out of the heat and also if there was going to be a problem with the gas, we were safer away from the narrow road the hotel is in. At no time did staff members from the hotel arrange with the Mercure to provide us with refreshments. After a couple of hours, the police advised that the hotel was safe for most of us, but rooms 10, 11, 12 and 13 weren't and the guests had to be relocated. Luckily we were in room 14. I am totally aware that the circumstances of the ceiling collapsing was not the hotel's staffs' fault, but no staff member advised us what to do. No staff member offered us vouchers to get breakfast that morning and no staff member apologised for the inconvenience we had suffered. When we checked out that morning, we were told how much city tax they wanted, but not a single apology was made. All we wanted was a little "we are so sorry for all the inconvenience you went through, and as a gesture of goodwill, here are some euros so that you can get some breakfast." We did notice as we were checking out, that a pile of uncovered pastries and bread were sitting in the reception area, but as men were working on ladders creating dust in reception, we really weren't that keen on taking any. I just feel that this hotel lacked the friendly nature we are used to with Best Westerns, but I'm more disgusted by the lack of interest shown by the staff. I have attached some photos of the collapsed ceiling. Please be aware that there are at least 12 tables underneath the rubble, and if this had happened about 6 or 7 hours later, the consequences could have been dreadful!! My wife and I stayed here for 5 nights on a trip with another couple also staying here. Overall the stay was fine, rooms are small as will be expected with Paris but it was comfy. The water pressure in the bathroom was minimal and the AC doesn't work too well, but we could see they were doing extensive work on other floors so I assume some updates are occurring. Also, the French don't seem too keen on AC. What pushed us up another star here was the great breakfast. Fernanda who tended it every morning was excellent, and she spoke Portuguese with us. This was so welcome as we don't know French. The food is fresh and delicious and totally saved us some cash for the rest of expensive Paris! The hotel is not so far from Arc de Triomphe and Elysees. 5 minutes and you are in the most touristic district. Room was very small for two persons. Breakfast wasn't very tasty. Nice cheap hotel for those who want to live in the centre. "Great little hotel 2 blocks away from Arch de Triomphe "
Great little hotel with an excellent breakfast. Stayed on top floor with three beds. 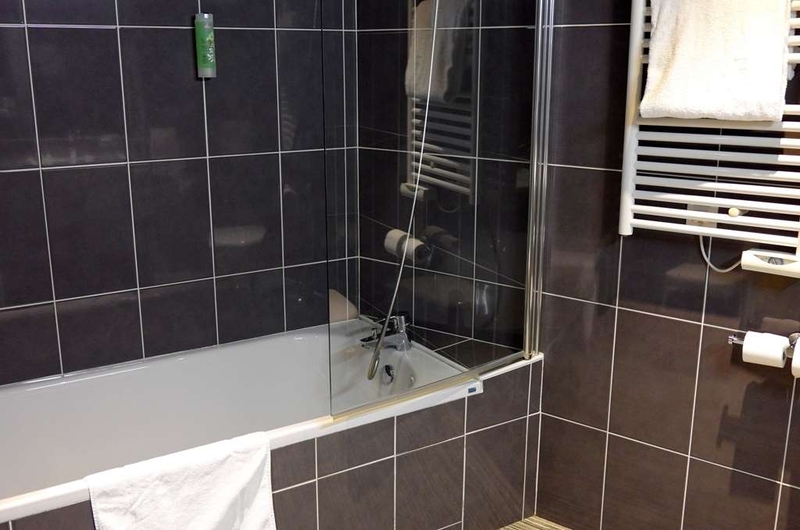 Very nicely refurbished room with great big bathroom. Very clean and comfortable. Breakfast has it all with bacon and eggs, fruit, pastries, cereals, toast with juice and coffee. Very friendly and helpful front desk. Super location within short walking distance from two metro stations. Stay at this hotel for 5 days, the breakfast was ok, but same menu everyday. Almost all the staff were not friendly, only 2 staff at the reception who was friendly. No smile especially the big girl with short yellow hair. I stayed here for 2 nights with my family and found the hotel very pleasant. 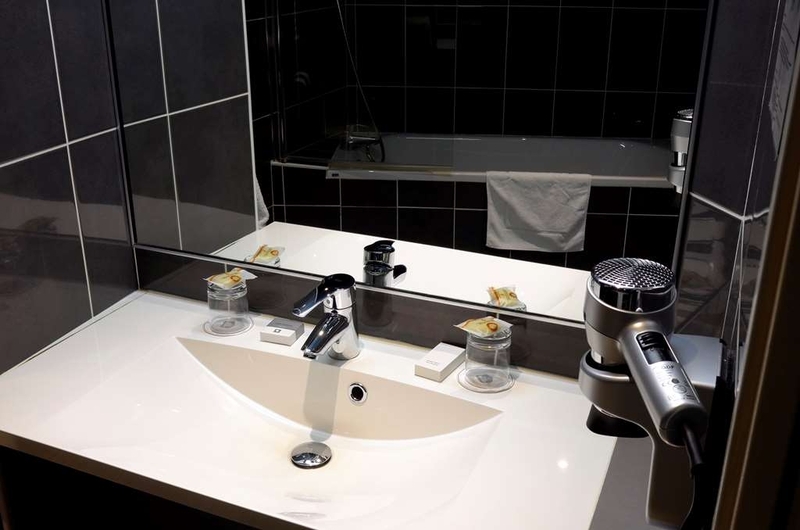 The room itself was very clean and cosy, and the bathroom very modern. Although the breakfast is very basic couldn't find any other faults. The staff were also very friendly and helpful. 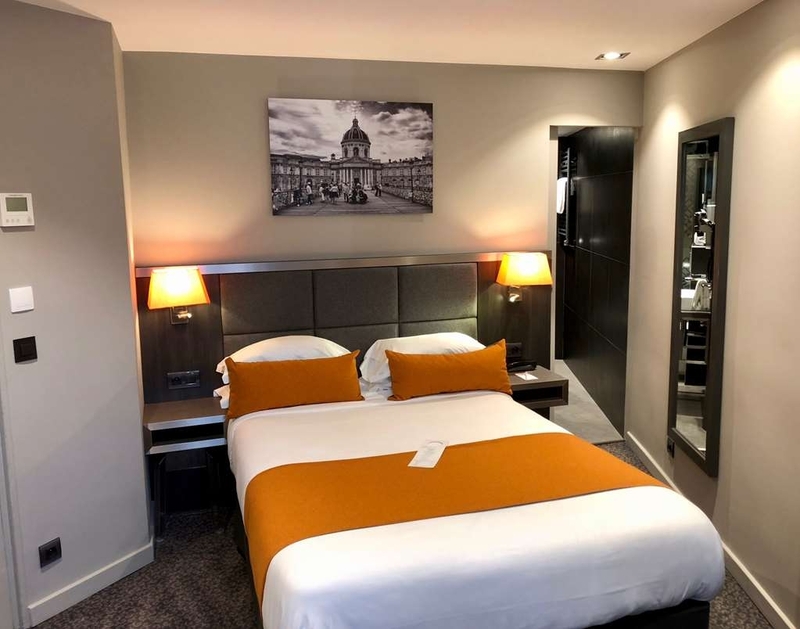 With this hotel you are paying for the location, it is literally a 5 minute walk from the Arc de Triomphe, I couldn't complain! 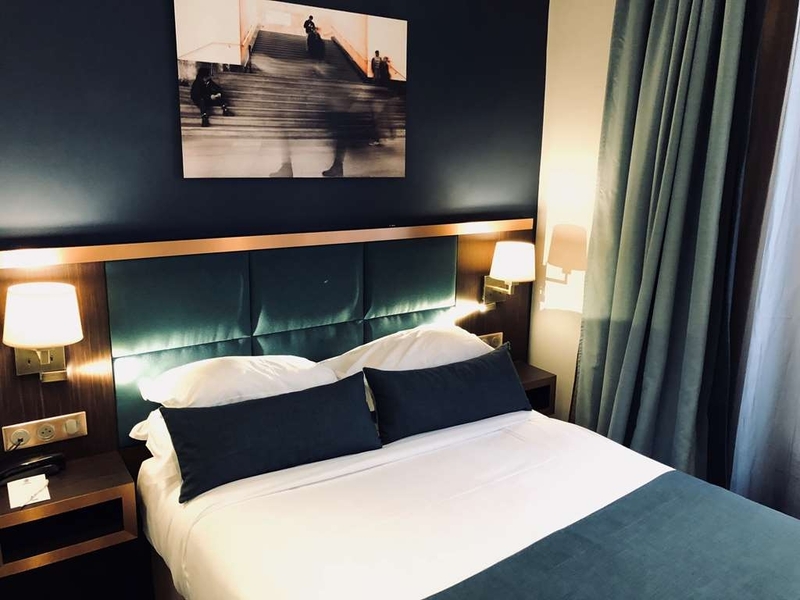 I would definitely recommend Best Western Empire Elysée to anyone thinking of coming to Paris! I recommend this hotel to everyone... very clean and the whole family loves the breakfast. Walking distance to the metro and the river view is beautiful... the people is very nice and they made me feel very welcome. And thank goodness they speak English and can understand you clearly and they always have happy faces... I will definitely will be back at this hotel again. "The worst services in Best Western chain"
I booked 2 rooms for 3 nights in this "best western" (I expected) hotel and I get a normal room wich I left to my children and a very, very small one! In the small one there were no room for my lugages! I asked at the reception to change my small room with a larger one, because I saw people leaving from room number 43, near my children room (42). A very "nice" woman, very upset about my demand, told me that room 43 is already booked (no one was there) and she will give me the 33, same room but at the third level. After I accepted she told me that 33 is not possible also because she was expecting a family and she must give them rooms at the same floor (me and my children who live on room 42 we weren't family enough for her)! So she gave us the room 13, at the first level, room unrenovated, with no hangers and no place also lo hang a hanger, no other place to put our clothes (as you can see in the pictures)! The bath tube was dirty and under the bath tube there was a hole covered with a piece of cardboard. Some portions of the walls were distroyed and the doors were very used and destroyed also! Not the 3 stars "Best Western" hotel near Champs Elysee in Paris we payed for! And if we will move in onother room one more time tomorow it is not a pleasant stay in a hotel, to move three times in a three nights stay! "It's a best west western.... exactly what you would expect..."
Visiting this place for my first time, I am gradually going through the hotels in this district :) Look, it's a best western and all the normal comforts you would expect are displayed here. Clean, nicely appointed rooms, efficient service and a great location. It's on avenue ternes, which is a nice location anyway. Not too much huddle and bustle, nice people and a short walk to the arc du triomphe. There are also some fantastic little restaurants within a very short walk (<5 mins), just look for the reviews locally. If you can get a good price, you won't be disappointed. You won't be amazed, although I can safely say that the stay will be a nice one. 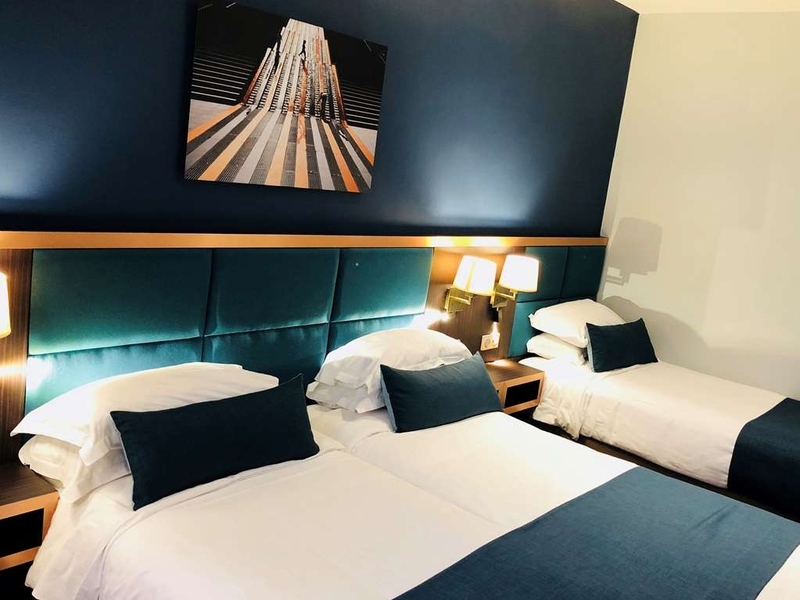 The hotel is ideally located in the delightful 17th arrondissement near the Arc de triomphe and with lots of nice department stores and restaurants. the personnel is very friendly, helpful and professional. The room is small with old furniture. The carpet and blinds are stained and dirty. The bathroom is old and not very clean. Breakfast is good and wifi works fine. Reception was warm, inviting and reasonably quick. The bathroom was minute and toilet almost impossible to use so check your room before you accept it. The room itself was compact. Breakfast selection was good. Location made up for some shortcomings but nothing outstanding from the hotel. "great position , but several things to adjust"
Coming from the Caribbean and not knowing our way around; we were lucky with this hotel as it was quite close to the Arc de Triumph. Hotel room was big for most hotels in Europe, comfortable and very clean! Nice tub also however it leaked slightly because the seal to glass side panel was loose. Shopping was around the corner with great stores like Sephora, Gap and others close by. Paris market on a Sunday was just opposite and was lovely to see and walk through. I would highly recommend staying here to explore Paris anytime! "Comfortable hotel with good breakfast"
"Small room but great location"
Staff were very helpful. Breakfasts were fantastic. Room was small but clean. Only a few minutes walk to the Arc De Triomphe. Plenty of interesting places to eat nearby. We were fortunate to have room on an upper floor which meant we had a balcony. There is a fresh food market nearby and a supermarket over the road. The worst choice in my life ever, after overseas trip we ended up in a room with many problems, lights outlets tv hair dryer AC, my hard time started when I spoke to the staff, their answer was that I'm very complicated man and these things happens everywhere and we have a list of your complains and working to fix them, the third day when I asked to speak to the manager the answer was and do you think the boss works only for you and doesn't go to sleep, folks keep it in your mind when you book at this hotel you will have few bosses to remind you that even though you're spending money after hardly working- things happen and will try to fix them-........?????? "My money was not worth it"
After spending a few days with the Family in the country side we came back to Paris for a couple of days before coming back home. I was looking for a Hotel with an excellent location and found this one. The location is great; just 2 blocks away from the arc of triumph and champs elysees. The rooms are clean & the breakfast is good. They also have a bilingual staff. "good location , great value for money"
Small, with a friendly staff. Very short distance to the Arc d'Triumph and the Metro. Many nice restaurants in the area. Good breakfast. Hotel is on a quiet side street. I walked to the Louvre from the hotel. Over two miles, around 75 minutes, but so much to see. 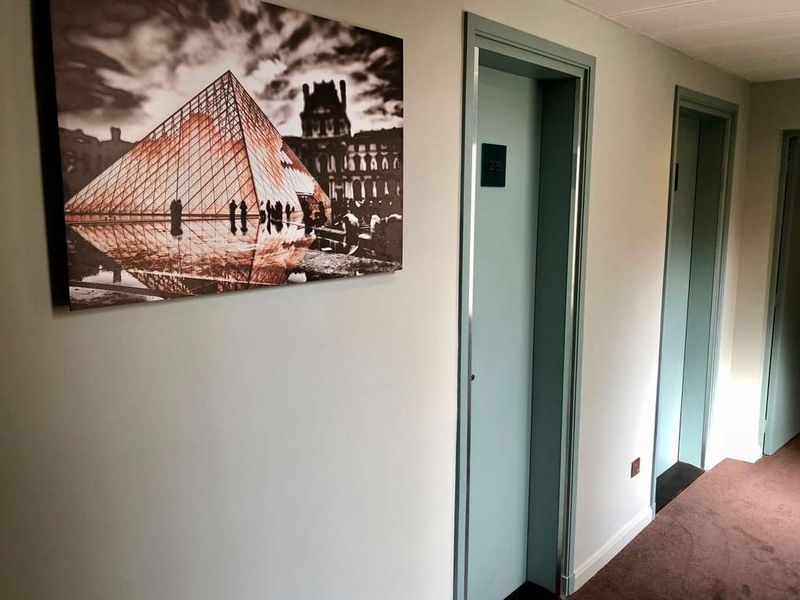 There is no doubt that the location of this hotel is it's best feature, offering easy access to most major sights, either by foot or public transport. Our bedroom was on the small size, but it was clean and comfortable. Building work was being carried out, but it didn't inconvenient us in any way. Breakfast was adequate, with a good choice of cold meats, cheese, breads, and pastries. However, each morning we went down to breakfast ( around 9am), the cooked breakfast was almost non existent, and there was no sign of it being replenished! I did attempt to have the scrambled eggs, and the one rasher of bacon that was left one morning, but they had obviously been sitting there since 7am, and didn't look very appetizing. Even though the breakfast was self service, it would have been nice if some of the breakfast staff could have at least acknowledged you with a 'bonjour', instead of completely ignoring you. A special mention to the two male night receptionists, who were always very pleasant, and to the lovely Polish receptionist who took the time to chat to us, as we checked out. "Run away... Worst worst worst hotel ever"
I expected to relax at the hotel. Hotel is under construction. All you hear are loud loud loud noises, and dust from the cement. The room is very old and dirty. The room is also dry and smelled. Bathroom is uncomfortable. The hotel building is very run down. The reception desk guy was too hyper when we arrived. He looks like he just got high. There are lots of hotels in the area. Save your money and don't stay in this place of junk. This hotel does not deserve a star. Best part is their service is excellent. Location is easy to find. Rooms quality is better , size good nd very clean. And thing more breakfast was very tasty. Non-vegetarian food was also very tasty..
"Good Location! Easy Acess to all the sites and transport. 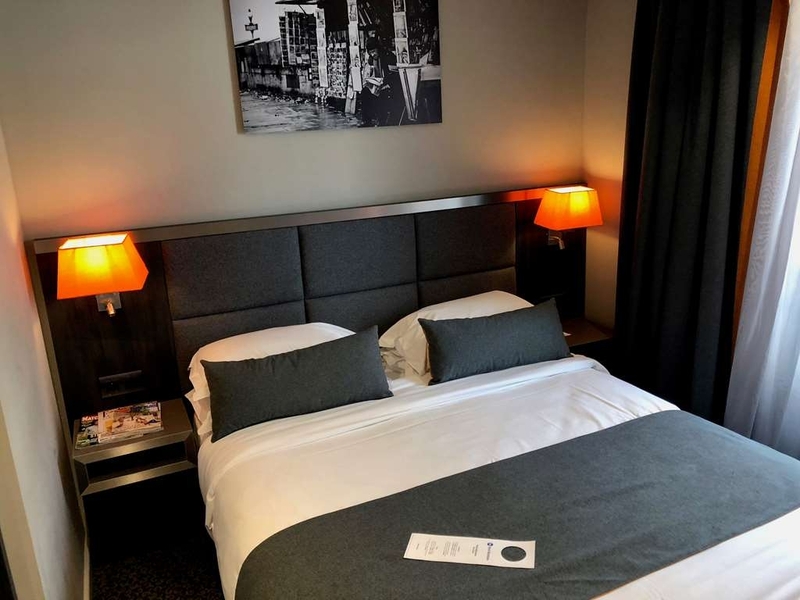 Close to the Arc de Triomphe and Camps de Elysses"
We found this hotel easily, even though having never used the Paris transit buses, or knowing a lick about where we were going! We arrived at a rail station off the Chunnel train from London, and then walked about three blocks to get to the main street that the map showed would go near the hotel. We paid the local fare, and felt much like a local, since we were obviously the tourists on the bus. But it was fun! The Hotel was small, but the bed was comfortable, the amenities were nice, and the front desk clerks were very helpful. This Hotel is a good mile plus walk from the Eiffel Tower, and even farther from the Louvre, etc. So buy a bus pass, or just take the bus down the Champs D'Elysses to save time, or walk! haha. Great night life nearby, around the corner from the hotel. For the price it was a good deal. Actually travelled in June, 2011, but they won't let me select that date on review. 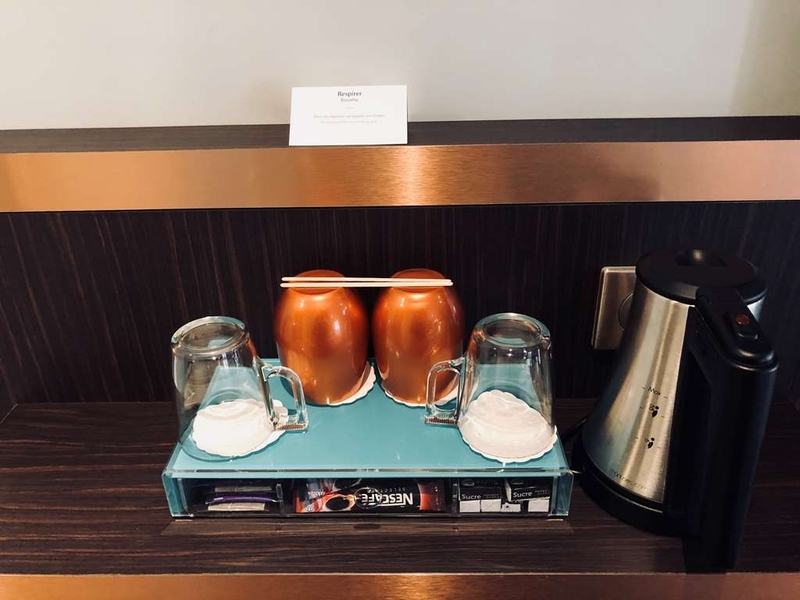 Professional service from front desk and excellent breakfast buffet offer for the category (could easily qualify for an extra star there) Standard room of decent size and comfortable with coffee-making facilities. Bedding mediocre and worn-out carpet needing replacement At 180 euros for the night, you are paying 60 euros extra for the location and it is not worth it in my opinion. "Excellent hotel and so convenient"
This is our 4th stay in this hotel. 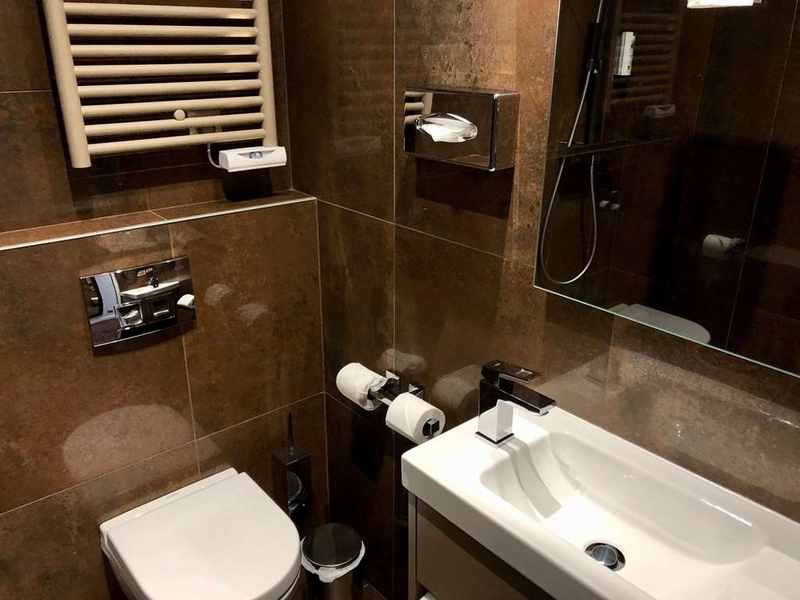 Besides its brilliant location for visiting all the sites and the proximity to the public transports, the staff is very friendly and couldn't do more for their guests particularly the ladies in the breakfast room and Magdelena in reception. Breakfast was plentiful and varied, the room was spacious as rooms go in Paris and the bathroom was huge.Would definitely recommend. "Total disappointment, better hotels available for the same price range in same locale." For a branded group of hotels, I had expected a lot more however did not deliver. This is not my first time to Paris & have stayed at a lot of other hotels in this ares, however based on my experience I will definitely not be staying here again.The only positive to this hotel is the location. Pros: The only positive of this hotel is the location. Close to Ternes underground & Arc De Triomphe & lots of restaurants close by. Bed is comfortable. Cons: Very bad customer service: It starts from my checkin. First I was given a room that had renovation work happening & had to come down to the reception to inform the staff about it. Tom my surprise the staff did not believe me & walked me up to the room to only realize that there as indeed work in progress. (Not sure how the hotel room inventory works, but this is indeed the first sign that something was wrong) I had booked 2 rooms through booking.com & specifically requested for non-smoking rooms; despite this I was given rooms on the smoking floor. When I had requested for change in rooms; the staff had this weird look on his face & asked me if there was cigarette odor in the rooms. (Obviously if its a smoking floor & a smoking rooms why wouldn't there be an odor.Duh!!!). After some time I was offered to move only 1 room to a non-smoking floor & the other room could only be changed the following day. The following day; another person managing the reception desk & I had asked her to change my room. Initially she agreed & said will move the rooms after breakfast. I approach the reception after breakfast & the same staff comes back to me defensively that I had not placed a request for a non-smoking room & said I was being moved because there was a room free. It was as if she was doing me a favor & claimed that I was lying. Eventually she reluctantly changed my room when I showed her the confirmation that I had received from booking.com. This kind of attitude/service was not expected from this hotel. Breakfast is mayhem. The staff manning the service showed clear signs of annoyance & would say something in French whenever they had replenish items from the buffet breakfast. Last thing you want on your holiday is a annoying hotel member frown upon you for having had breakfast that you paid for. Totally unacceptable. A suggestion for the hotel, serve boiled eggs rather than having the guest's to boil eggs & wait for it a the breakfast area. Given that the area is small & during peak season crowd, this would definitely ease some pressure of the staff & leave with some happy customers & why in the hell would you want your guest have them boil their eggs & wait for it. If we wanted to cook would have booked a service apartment. Wifi is horrible. 3rd world countries have better internet than this hotel. Housekeeping could do better. Felt like I was at boot camp, the shower gel would never be filled & the rooms were dusty. Overall, I have had a bad experience with this hotel & will avoid this by all means. The hotel requires some serious leadership to increase its customer experience. After catching the Eurostar from London we caught the Metro to Ternes station and walked the short way to the hotel which is hidden away in a side street. We had a pleasant surprise when we found the hotel had an elevator, after travelling for a few weeks around the UK staying in old hotel where we had to carry bags upstairs. The area has many cafes and restaurants with a couple of supermarkets and a laundry within a couple of hundred metres. There is also an airport bus available which leaves from the top of Avenue McMahon. The hotel itself is quite modern and has decent sized rooms, although we found the walls thin enough that we could hear everything going on in neighbouring rooms. Our room was also adjoining the stairs and every footfall could be heard. The Arc de Triomphe is a short walk, taking you to the Big Bus stop which is a great way to get around Paris. Breakfast downstairs is unusual but plentiful with a lot of variety. A great value for money hotel. The hotel had very helpful personal. They gave us directions to all the places we were interested in. They also helped us take the train and subways . The breakfast was good. The hotel had no restaurant but Paris has many around the area. Small stores were nearby to buy sodas and snacks. The hotel rooms were average size but clean. Most of the staff is nice or, at least, professional with customers. We arrived at 11:30 am and we had our rooms immediatley what was very nice. Most of the hotel in this area do not have rooms ready before 1:00 or 2:00 pm. Rooms are small (as in all 3 stars hotel in Paris) but clean and quiet. Bathroom was ok also. Coffee and tea facilities and minibar in the room. Bed was a little too soft for my back, but it didn't bother my friends. Breakfast was good (above the average for a 3 star hotel in Paris). 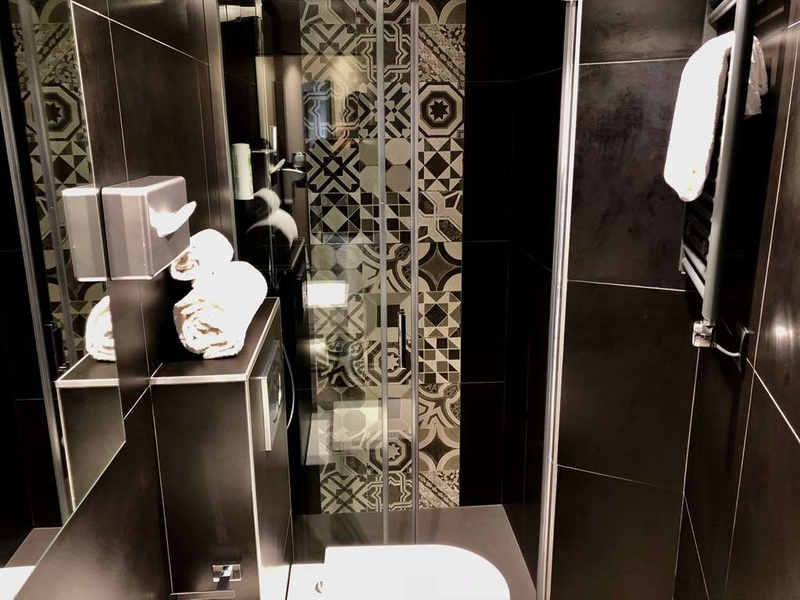 Location is perfect for me: near marché Poncelet, near Air France terminal, near 3 diferente metro lines, and walking distance of a lot of places, speacially if you like to walk like I do. Is the area where I lived in Paris, so I feel at home. And you never have bad surprises with Best Westerns. This is a nice hotel, near a subway station and in a good neighborhood. Staff is very friendly and accommodating. Room was unusually spacious. Internet connection was a bit erratic, but overall acceptable. Working desk was small. The lighting in the room could be improved, especially on the desk. "Very good hotel for a short stay"
I stayed at the hotel August bank holiday. 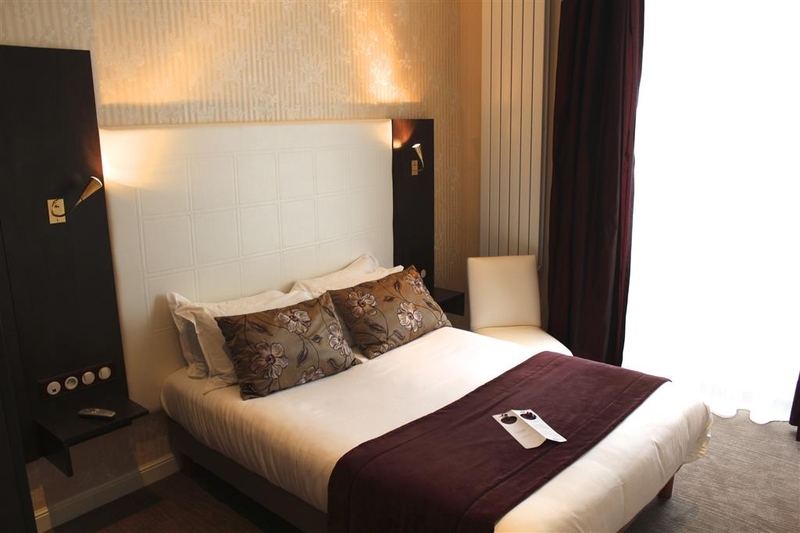 It is a very good hotel, close to the metro, and close to the Arc De Triomphe. The rooms and bathroom were clean, they looked after our bags when we arrived early and wifi is good. Breakfast is small but good choice is available. Cons - not the best veiw because it is on a side street but it doesn't matter if you are not spending much time there. "Good hotel, close to champs élysées"
We stayed at this hotel for three nights,in one double room and one triple room on the fifth floor. Both rooms were cleaned on a daily basis, beds were comfortable, air con worked properly ( it was very hot). Reception staff were very helpful. Terne metro only a few minutes walk away, ten minutes walk to the champs élysées. Breakfast was adequate. BUT There was only one person cleaning the tables, replacing cutlery and making sure that there were enough food for all the guests. The breakfast room is small and this staff member was very unprofessional "telling people to move their chairs, they are in her way, telling guests that she is tired and complained when guests asked her to put more food out". Wifi did not work in our rooms , my sister had to go in the corridor to get reception. One morning there was no hot water. We stayed here one day and the place was super clean. Front desk staff is very attentive. Eventhough we didn't get an early check-in, they let us keep our luggage in the premises. Close to arch- de triump and metro but this is a expensive location. 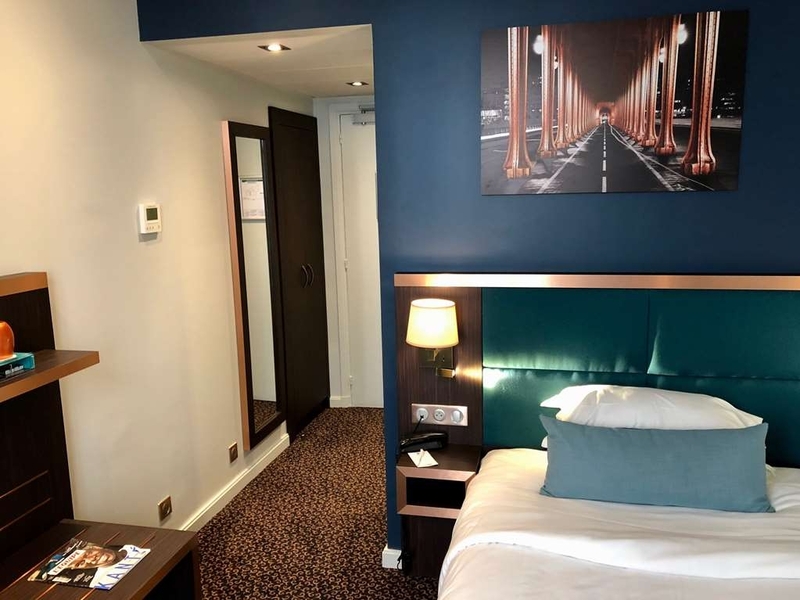 "Great location for a base for a city break"
On arrival looks can be deceiving and both my husband and I gave each other "the look" as if to say this doesn't look good. However, we were given first class customer service from all staff, the room was adequate and in general we have absolutely no complaints. I can't comment on the breakfast as we only stayed 2 nights, the first day we slept in and missed breakfast and the second day we checked out at 4.45am to catch a flight to Naples. 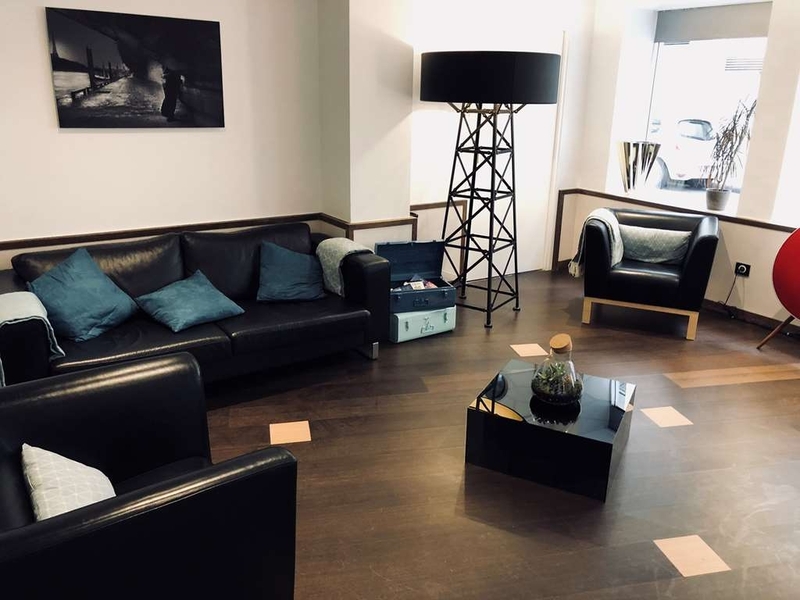 "Good location but with negatives on it"
Good location, good service in receptionis and staff, BAD breakfast ( small amount of the food they serve and no refill when we ask for it ) and the bathroom to noisy esp on the night time or midnight. The wifi in room 37 and 57 was so poor and no signals at all. Need some watch how they clean the rooms ( garbage not been empty in bathroom and refill some toilets accessories ). A four night stay in the hotel which was cut short because of the strikes but the hotel was very accommodating to our needs. Lovely breakfast. Staff was very helpful also prime location to the arc de triomphe and champs élysées. 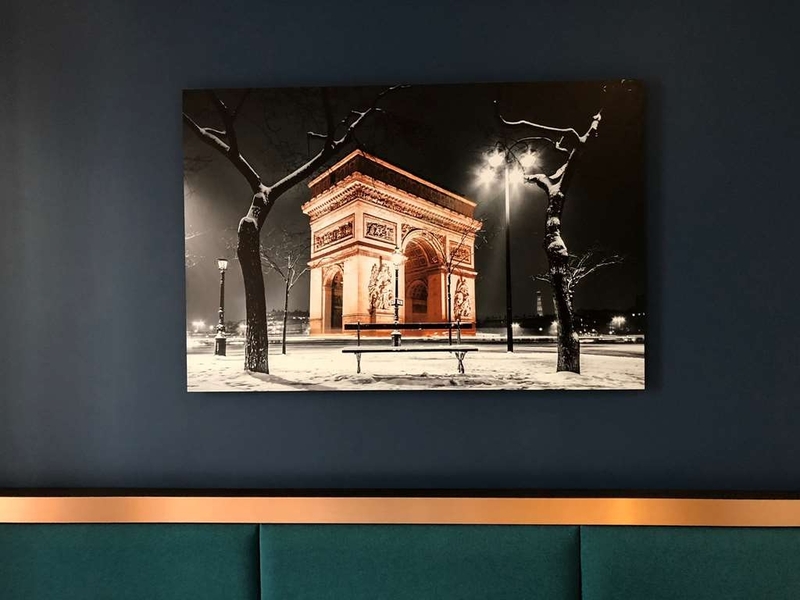 "So close to the Champs Elysee"
A four night stay in the Empire Elysee Hotel so conveniently located between the Ternes Metro and The Champs Elysee and Etoile Metro with easy access to all the Paris attractions museums, Eiffel Tower (get off at Bir Hakeim) night spots in Bianche and Pigalle. An easy walk to Luis Vuitton, Prada, great people watching sidewalk cafes, Arc de Triomphe, Some great baguette shops handy for lunch in the area. Plenty of restaurants within a 100 metre radius. The room was serviced daily,fresh towels, sheets etc. Staff at the desk are extremely helpful and allowed us to checkin early and spoke English. Breakfast had plenty of hot selections and the cold cuts with fruit and juice. Good coffee and tea. More than adequate to start the tourist day. Would definitely stay here again. "Good value Hotel in Great Location"
Recently stayed at this Hotel when a friend and I went to watch the Tour de France ,it's in a great location near lots of the main attractions , The staff were very friendly and helpful even upgraded us from a twin room to two single rooms of good size free of charge. Will definitely stay at this hotel on my next stay in Paris ! My mom and I had a very nice stay here at the end of June. It is nice and quiet and very close to the metro. It was a great place to travel around Paris from. The staff was very helpful with all of our questions and very accomadating for us when we got to Paris earlier than check in. The room was very nice and had a nice bathroom and AC. We stayed here from 19 the to 22 and July. Very friendly and helpful staff. Great location to sight seeing and just 2min walk from good pubs with food and the arc de triumph. There is a great bus service close by. The hotel is very clean and would definitely recommend it. Great location. Only 3-minute walk from Arc de Triomphe and Champs Elysees and still in a quiet neighborhood. Near metro and Air France bus stop if you want to go to the airport. Multi-lingual and friendly staff. 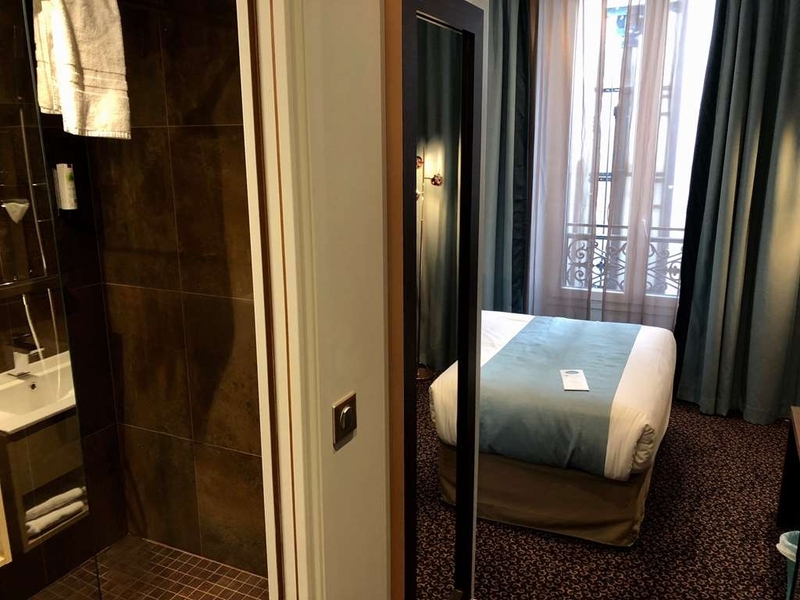 I booked a single room and it was bigger than I had expected (which is rare in Paris). Free candies and magazines were offered in the room. Breakfast was continental. The only minus is WiFi did not work in my room, only in the reception area. Overall I was happy with my stay. I used to stay in Best Western in the US and I think they keep their quality standard stable and trustworthy worldwide. Great experience and excellent value for the money. I would recommend to whoever travels to Paris and want to have great "walkability" to places of interest. Arc de Triomphe is just minutes of walking distance.